Annette Howard has worked as Project Director for Life Directions since 2013. She has a deep commitment to and expertise in working with youth. She’s involved with the implementation and delivery of the Peer Motivation and Peer Mentor Programs for Middle and High School Students as well as the Summer Youth Employment Program. As a former, Licensed Foster Care Parent, Annette has compassion for teen survivors of abuse, neglect and human trafficking. As an advocate, Annette is a voice for the voiceless, poor and most abandoned. Annette has over twenty years’ of Criminal Justice experience in both Adult and Juvenile Sectors. She is sensitive to and has worked closely on many occasions with different ethnic, religious, racial groups both via civic and governmental organizations. 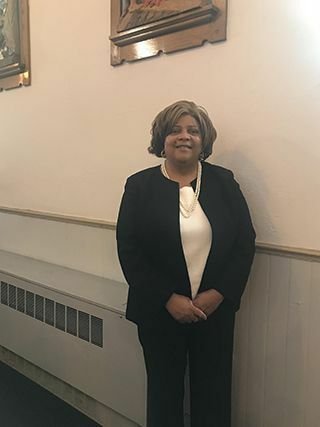 She is an active member of the Michigan and National After-School Association, Youth Alliance Partnership, Neighborhoods of Hope Steering Committee (convened by State of Michigan and Casey Foundation), and Faith Communities Coalition on Foster Care. Annette has over twenty years’ of Criminal Justice experience in both Adult and Juvenile Justice. Annette holds a BA in Social Work from the University of Detroit, and Masters of Art degree in Pastoral Counseling from Ashland University.